At Elephant Hills, encompassing The Elephant Camp and our boutique Rainforest Camp, we strive to provide the best possible experience to our guests, while protecting our natural environment. As a result of our hard work and ongoing desire to improve, we continue to win prestigious awards from internationally recognised bodies; here are a few of the most recent. 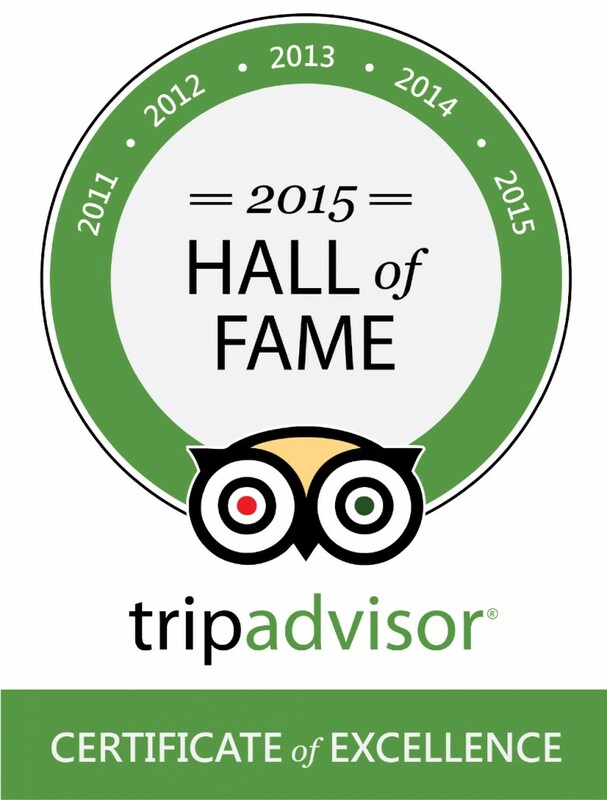 We are so proud to have been awarded the TripAdvisor Hall of Fame Award for 2018. This award came as a result of winning the TripAdvisor Certificate of Excellence for the eighth consecutive year. 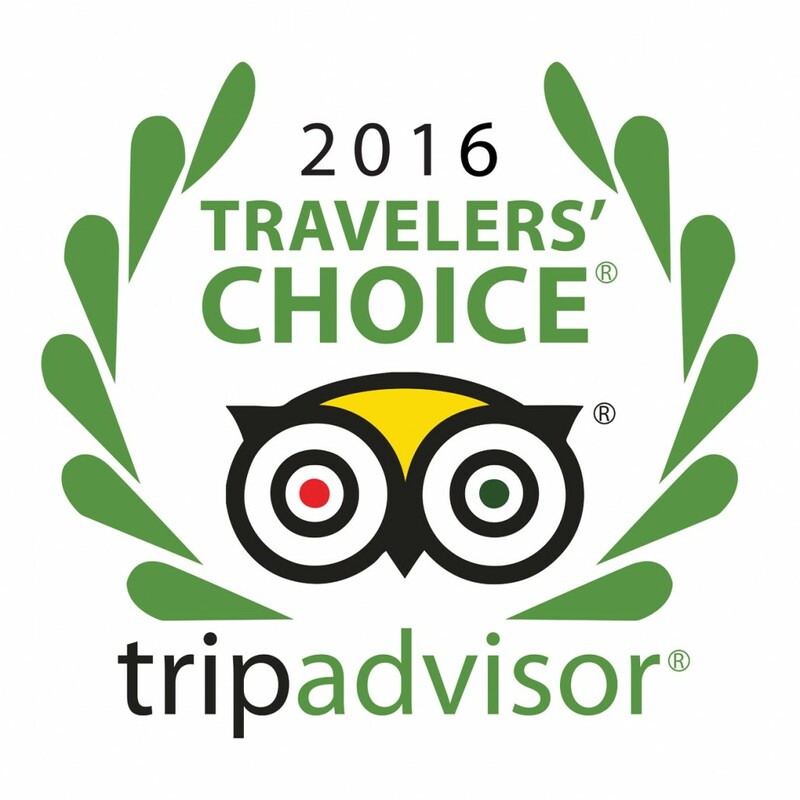 Being recognised by TripAdvisor always means a great deal to us as ultimately it is based on our guests’ feedback. Thank you all for your continued support and feedback throughout the years. Read more. THANK YOU! We are blown away to be chosen for the Travellers’ Choice Award for the fourth year in a row. To all our guests who have left feedback on TripAdvisor, we are eternally grateful for your support and are elated that you feel so strongly about the experience we provide. 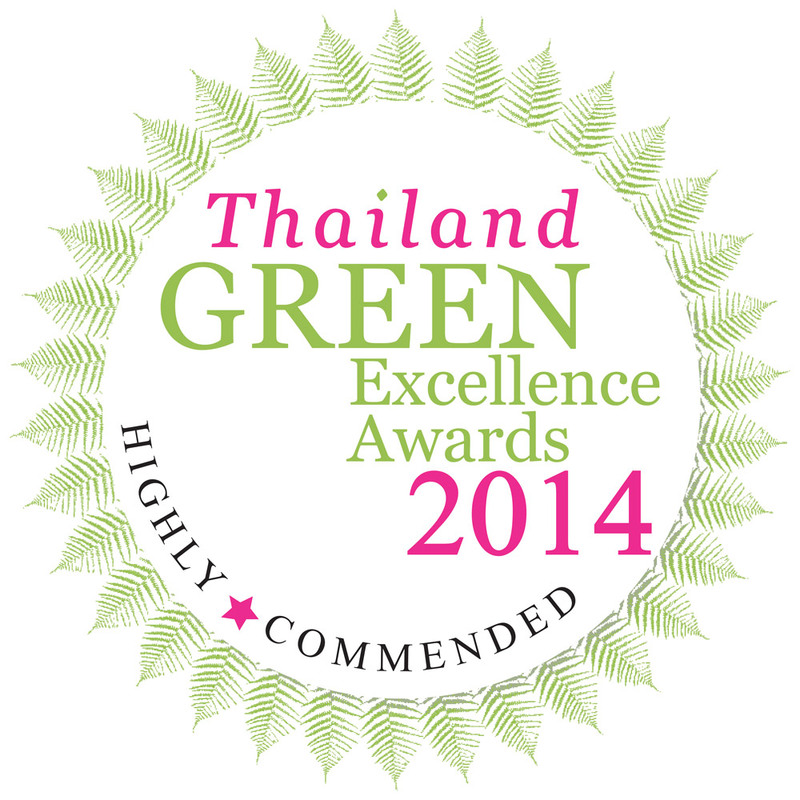 Being considered one of the “Top Hotels for Romance in Thailand” is a greatly appreciated by the whole team. Read more. Having won the Excellence Award for Animal Welfare in 2014, 2015 and 2016, we are pleased to announce that this year we have been awarded in both the Animal Welfare and Eco Lodge categories. The awards were presented to us at the ceremony in London by her Royal Highness Princess Ubolratana. Read more. 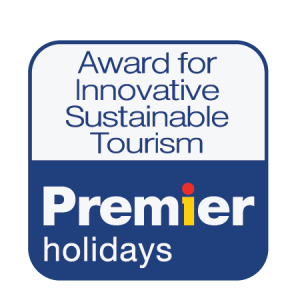 Premier Holidays, a leading tour operator and our travel partner in the UK, have announced Elephant Hills as the winner in this year’s Most Unique Product category. The award is recognition of the fact that we go above and beyond to bring unique and responsible experiences to our clients. Read more. 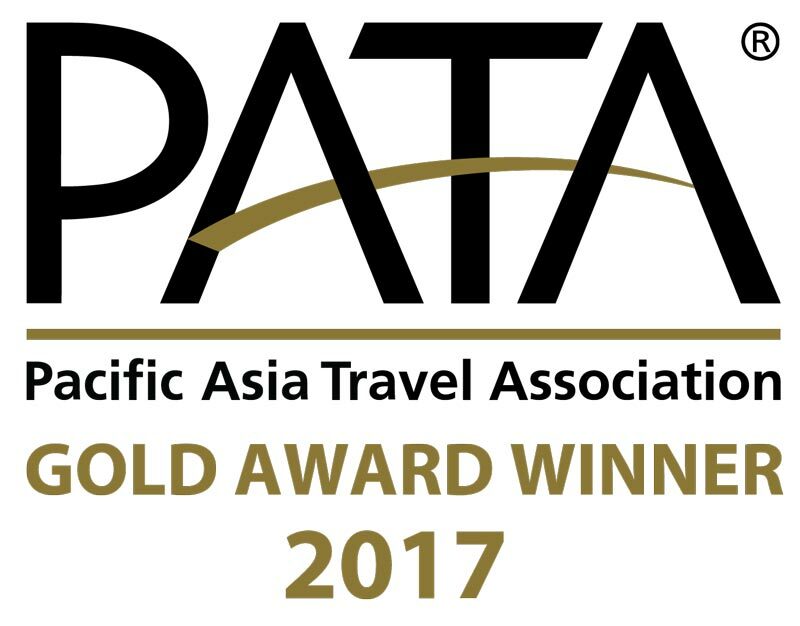 Elephant Hills has been awarded first place by the judges of the Pacific Asia Travel Association. 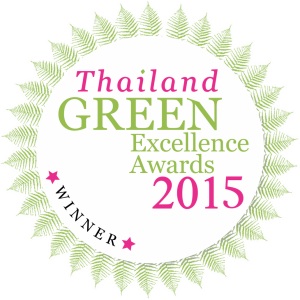 Our efforts in conservation and community projects both within Khao Sok and further afield have been acknowledged in the “Environment – Ecotourism Project” category. Read more. Three years in a row! 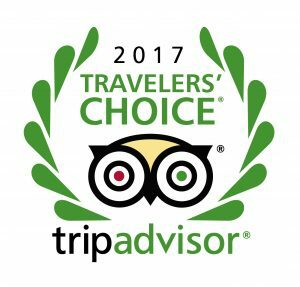 Elephant Hills has been chosen again from TripAdvisor as a winner of the Travellers’ Choice Award in the category “Top 25 Hotels for Romance – Thailand” And again, we have been voted into the top 1% of all hotels worldwide. 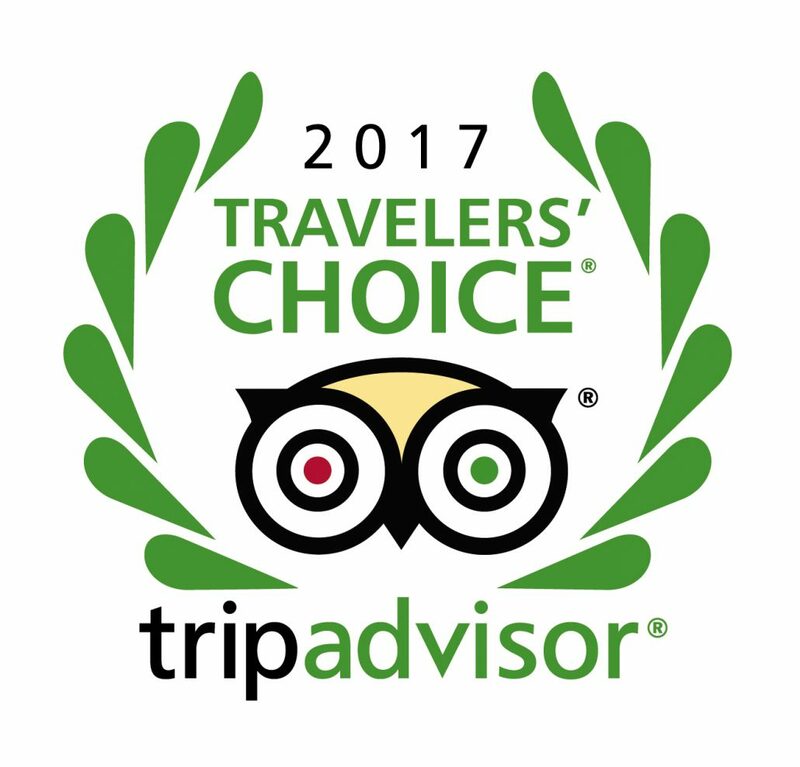 We would like to say thank you to all of our wonderful guests who took the time to write our award-winning camps such positive reviews. 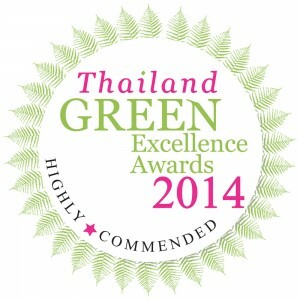 For the second year, Elephant Hills won the Thailand Green Excellence award in the category Animal Welfare. The Tourism Authority of Thailand and Wanderlust Magazine award this title annually. We could not be prouder to see all our hard work pay off, and to be able to share this with the rest of the world! Read more. 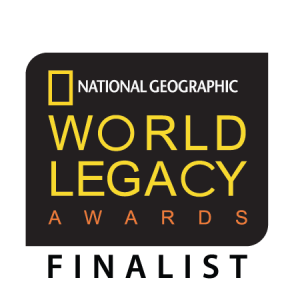 National Geographic Traveller announced Elephant Hills to be Asia’s only finalist in its prestigious World Legacy Awards. 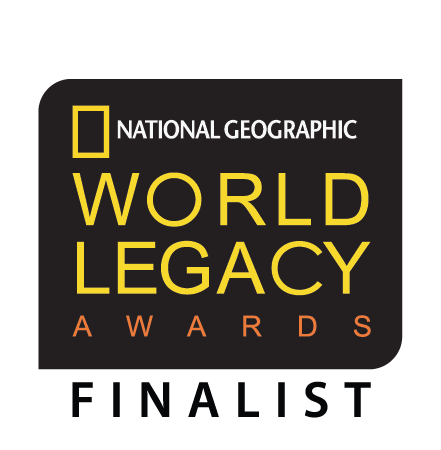 Nominated in the category “Conserving the Natural World”, National Geographic wanted to recognise Elephant Hills’ efforts to promote sustainable animal tourism; Rainforest Camp with its unique waste management system as well as our investments in research and education in Khao Sok. Read more. 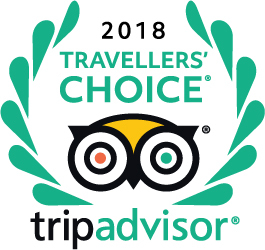 For the 2nd consecutive year, travellers from all over the planet have left their comments and ratings on TripAdvisor and have again voted Elephant Hills and our award-winning camps into the top 1% of hotels worldwide. This year, we excelled particularly in the “Service” category. 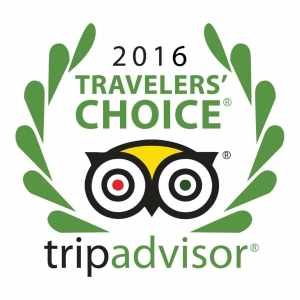 Our team are elated to have their high standard of customer care recognised by our guests, and by TripAdvisor. Thank you all. After our “highly commendable” position in 2014, our commitment to improving paid off in 2015. The Thailand Green Excellence award in Animal Welfare, given by the Tourism Authority of Thailand and Wanderlust Magazine is now proudly held by Elephant Hills. It is a humbling for us to have our efforts in animal welfare recognized worldwide. Read more. 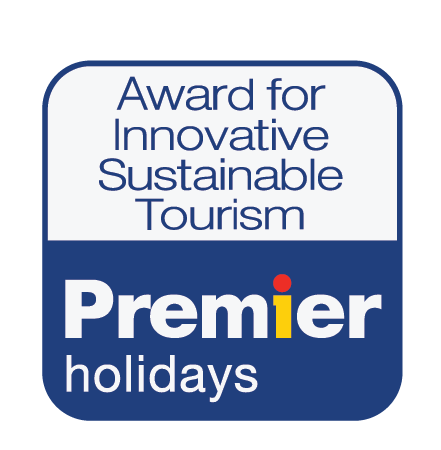 Premier Holidays, one of the UK’s leading tour operators, have honoured the long-standing business relationship with Elephant Hills with an Award for Innovative Sustainable Tourism. Both Premier Holidays and Elephant Hills are keen on further fostering this relationship and promoting sustainable tourism into the future. Read more. An amazing year for Elephant Hills, we won TripAdvisor Travellers’ Choice Awards in five categories: Top 25 Hotels in Asia, Top 25 Hotels in Thailand, Best Hotels in Thailand, Best Luxury Hotels in Thailand and Best Hotels for Service in Thailand. Read more. 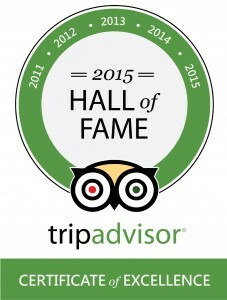 The TripAdvisor Hall of Fame Award is a clear indication of the continued quality of the services that Elephant Hills provides to its guests. The Hall of Fame award is given to organisations that have received the TripAdvisor Certificate of Excellence for five consecutive years – 2015 being the fifth year for our award-winning camps at Elephant Hills. Read more. 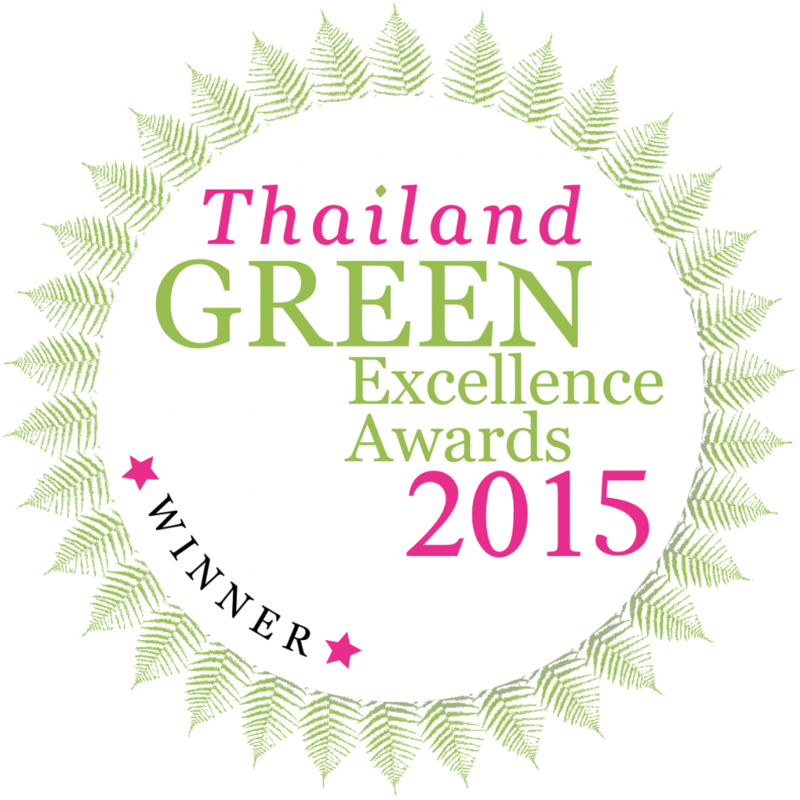 In 2014, Elephant Hills ranked as “highly commendable” in the Thailand Green Excellence Awards for Animal Welfare, an award bestowed jointly by the Tourism Authority of Thailand and Wanderlust Travel Magazine. Read more. 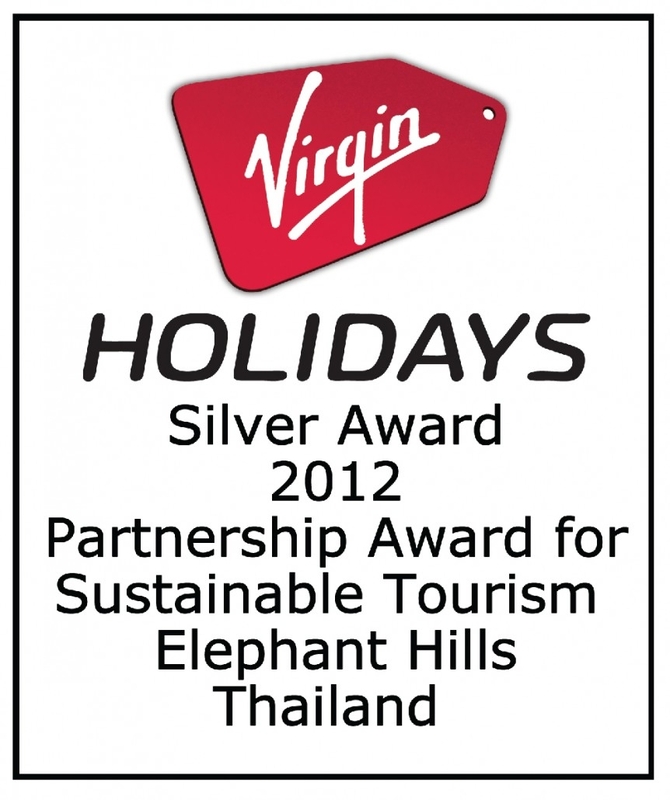 Virgin Holidays, UK presented us a second place in the Partnership Award for Sustainable Tourism, for our advanced animal caretaking procedures. 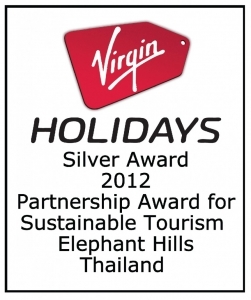 Since then, we have developed further still, improving our processes at every opportunity, but unfortunately Virgin Holidays no longer offer this award.